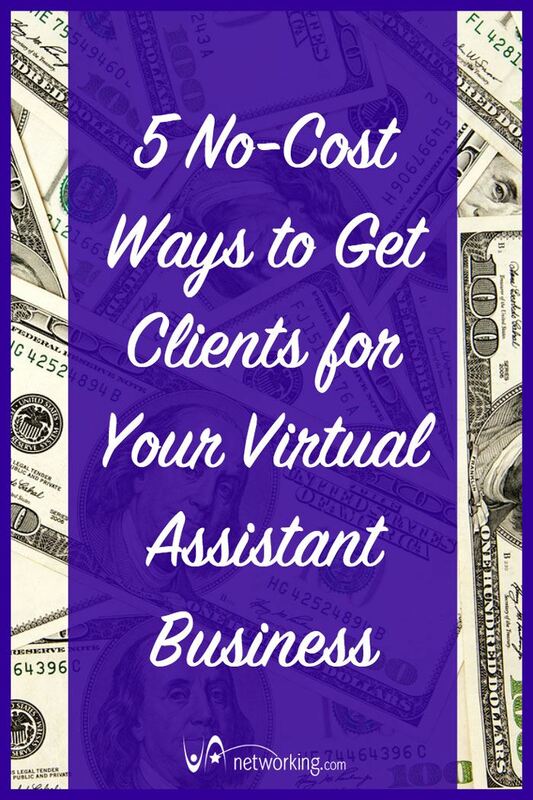 How much have you spent trying to get clients for your Virtual Assistant business? If the only money you’ve spent has gone towards getting your VA website set up, you’re doing great. If you’ve spent additional money on marketing, stop now. You do not need to spend money to get clients. All you need is time, effort and skills. A bait piece is something of value that you give away in exchange for the potential client’s name, email address and permission to market to them. You then use the contact information to market to that individual via email, using a list building system which I describe next. A bait piece can be a free ebook, teleseminar, webinar, newsletter or video. Begin building an email list of potential clients by collecting names and email addresses. To do this, you’ll want to use a software program that allows you to capture email addresses and names and then market to them via email. My favorite software program for list building is MailChimp because it’s free and easy to use. If you’re not already blogging, you’re missing out. It’s free and search engines like Google love blog posts! Every time you load a new blog post, search engines visit your site and add the blog post to their search results, giving you more opportunities to reach potential clients. The hardest part is getting those blog posts written. The best way to make sure you write at least one a week is to get an accountability partner. Ask a VA who also wants to write blog posts to hold you accountable for writing at least one blog post each week – and you do the same for her. Tough love may be required. Write articles in each other’s newsletters or do a guest blog. At the end offer some freebie to entice their readers to sign up to your newsletter too. If you offer wordpress design and your competitor offers bookkeeping services then in essence you can both offer this on your website now and outsource to each other. Share each other’s banner ads on your websites promoting services you might not have otherwise offered. If you’d like to get step-by-step training as well as personalized coaching on how to get as many clients as you can possibly handle in your VA business, sign up for our VAinsiders Club. If you can’t decide if it’s right for you, or you want to be sure I’m the right fit for you, please contact Tawnya to set up a free consultation. Editor’s Note: This post was originally published in August, 2012 and has been completely revamped and updated for accuracy and comprehensiveness. Want to discuss this topic in more depth? Or maybe you have another question that needs answering? 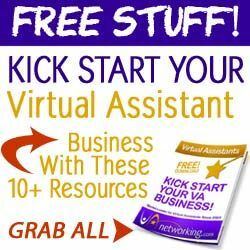 Visit our FREE #VAforum to engage with Tawnya Sutherland and other Virtual Assistants from around the world who have been daily sharing, connecting and learning from each other since 2003. CLICK HERE to Start Networking Today! Hi, this post is great. I appreciate all your knowledge in terms of this as well as in getting clients at no-cost. Being a virtual assistant, this will lend a hand to me. Thank you for sharing this and this is great. Great post to remind others that networking can be very essential to any business even us VA’s. I agree! Building relationships through networking builds trust in our services and TRUST = BUY online nowadays. Networking will bring you new clients in the long run. Thanks for the article. This article covered all the points for Business. Virtual assistant is new term in online business. One of my friend told me that it has lots of benefits. But it is necessary to work as Virtual Assistant team. 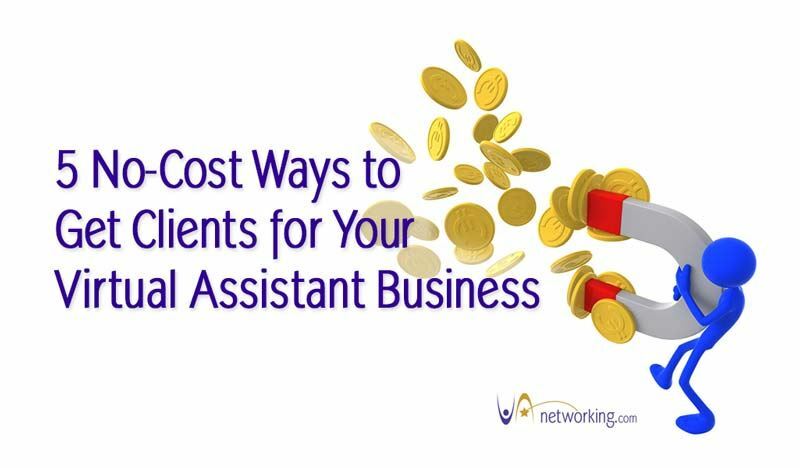 It is good to grow your virtual assistant business. Hey Tawnya, of all the articles I’ve read about VAs this was really detailed. I read that hiring VAs are effective and cost-efficient yet yours really explained points on how efficient it is hiring one. Really learned a lot. Great post! That was crucially informative Tawnya!